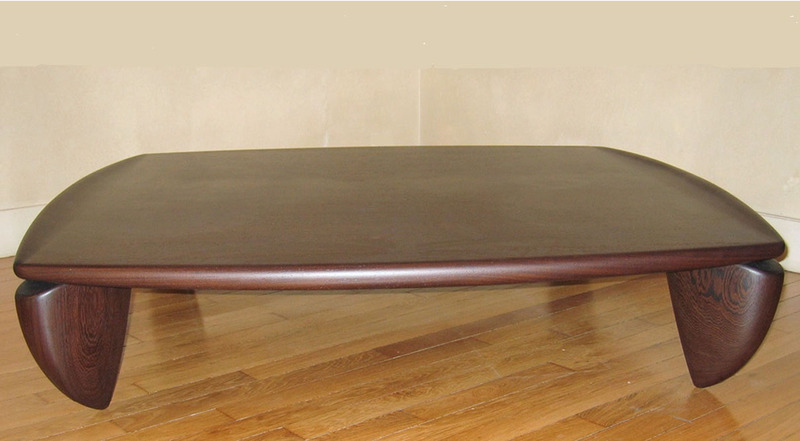 Table basse “Grand place” de Sylvain DUBUISSON (1946- ). Dessinée en 2001, Edition Creative Agent Consultants 2006. Grande table basse carrée en wengé massif, reposant sur quatre pieds. Pièce unique. Haut.32 x larg.160 x prof.160 cm. resting on four triangular feet. Height 12 1/2 x width 63 x 63 inches. and also created his own line of extremely refined objects and furniture. He exhibited and won several prices.